We are looking for early-stage innovations that fit into the model of a green and sustainable economy. 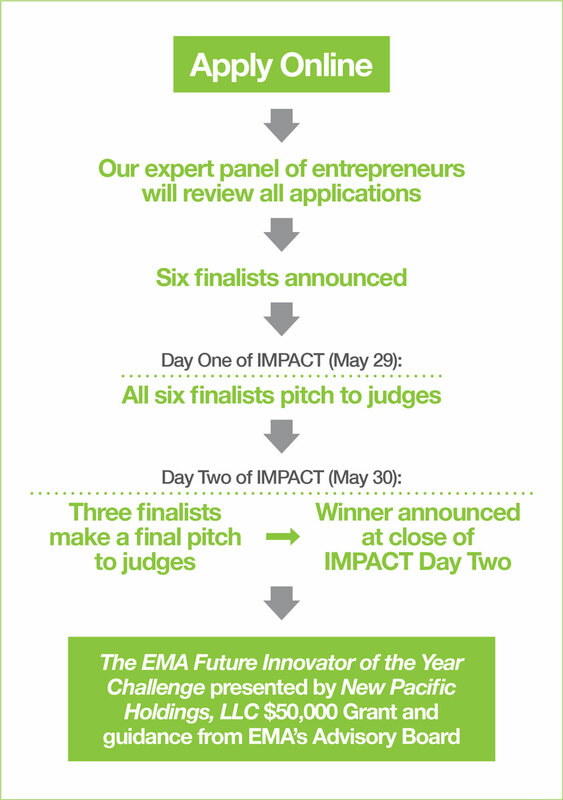 Six finalists will pitch their innovations at the 2019 EMA IMPACT Summit in Beverly Hills on May 29-30. The 2019 Innovation Application is now closed! 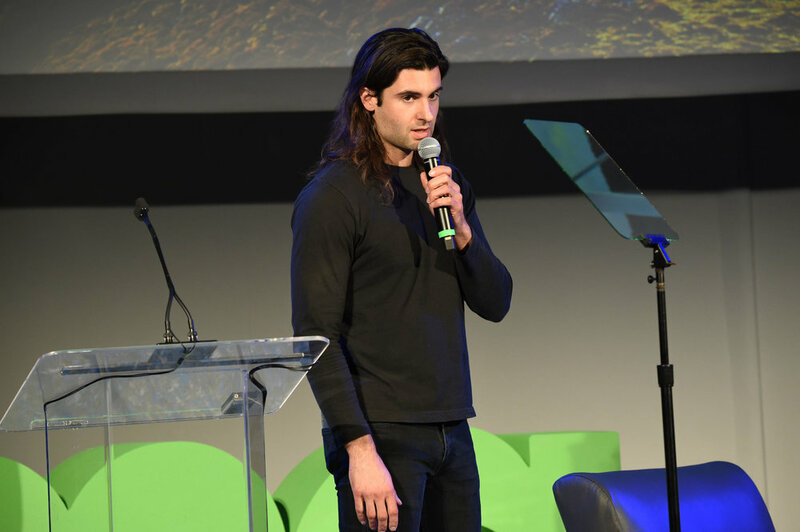 EMA’s first grant-based program, The EMA Future Innovator of the Year Challenge presented by New Pacific Holdings, LLC, seeks out the most important innovations moving us into a circular and sustainable economy with business solutions in all sectors. Our goal is to promote game changing entrepreneurs, exposing them to a room full private and public corporations, incubators and funding sources. A $50,000 Grant and access to EMA’s Advisory Board. Sign up for the for news, actions, eco-tips from our Board Members, and more!